SPTS Technologies (an Orbotech company), a leading supplier of etch and deposition process solutions and equipment for the global semiconductor manufacturing industries, announced that two GaAs foundries have selected its etch and deposition systems to expand capacity of RF device production. It has received approximately $37M in orders for multiple etch and deposition systems from two GaAs foundry customers. 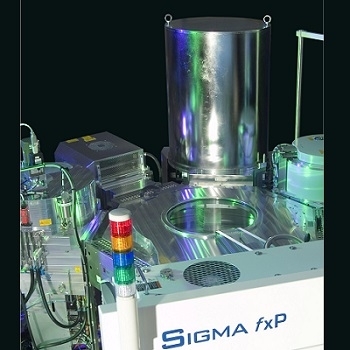 SPTS's Omega plasma etch, Delta PECVD, and Sigma PVD systems will be used to manufacture radio frequency (RF) devices for 4G and emerging 5G wireless infrastructure and mobile device markets. Delivery of the systems is expected to be split between the first quarter and second quarter of 2018. Power amplifiers (PAs) are among the most critical RF components in mobile communications and virtually all PAs in a modern smartphone are made from circuits built on GaAs semiconductors. Analysts are predicting that the growth of 4G communications, gigabit LTE and emerging 5G will be the growth engine to drive the RF GaAs device market from over $8.1 billion in 2017 to over $9 billion by 2021.